Having reliable lawn care equipment is vital to a kept and pristine yard. However, always choosing to buy new can quickly add up. Buying used can be a better option, especially if you are starting to collect useful pieces. There are tips to keep in mind when purchasing pre-owned items to ensure it is functional and to avoid wasting your money. Specifically, when buying a riding mower, consider the following. When you first begin contemplating buying a used lawn mower, you should look at the price of new models first. This will help you to gauge a realistic price for a secondhand one. If you find one that’s still in great shape, try not to pay more than 60 to 70 percent of the retail value. Try to accumulate all of the mower’s past service receipts before you buy it. This will help you determine how much work it will require to keep it running depending on its former use and help you better evaluate the worth of the equipment. If there are no documents, perform a detailed inspection before you buy it. This includes checking for optimal function of the steering wheel, sufficient air in the tires, sharp and tightly placed blades, even deck sides, and no burning or leaking oil in the engine. 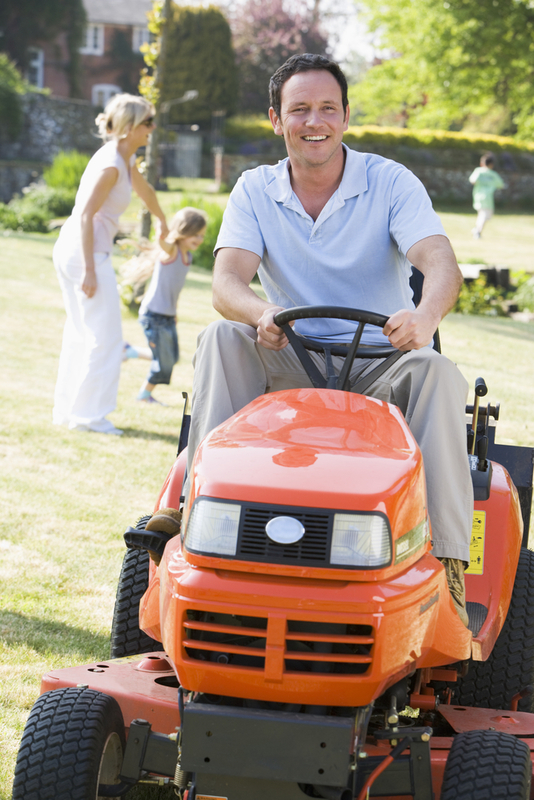 Research the specific make and model of a riding mower before buying one. While a manufacturer might make excellent leaf blowers, their other lawn equipment might not match those standards. You can check online reports to determine if buying the used item will be worth it or if it has already reached its breaking point. Whether you are buying used or new lawn equipment, you can find the perfect item at Stanly Tractor Company, in New London, NC. They have a wide variety of outdoor power equipment, including a high-quality selection of riding mowers. Call (704) 983-1106 with questions about any of their available products, or visit their website to get request a quote or value your trade-in.